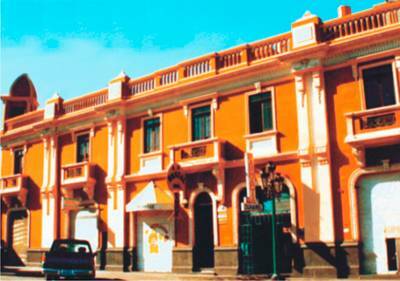 Pirwa Park Hostel in Arequipa is situated just 3 blocks from the Plaza de Armas, in the heart of Arequipa´s historical center, a UNESCO World Heritage Site known for its outstanding white volcanic rock buildings with their elaborate façades. This means you’ll be ideally placed with major attractions and quality restaurants and cafes, bars and clubs just a short walk away. 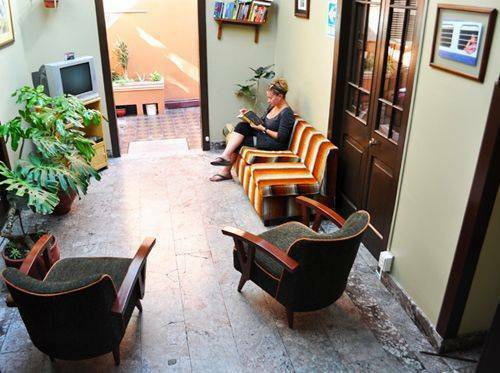 Pirwa Bed & Breakfast in Arequipa offers spacious sunlit dormitories for 5 or 6 people with shared bathrooms and private rooms with private bathrooms and cable TV, all with comfortable beds and hot water 24 hours a day. Enjoy your breakfast in the Arequipa sun on our rooftop terrace, which boasts an impressive view of the prized symbol of Arequipa, El Misti Volcano. Get all the tourist information and assistance you need at the convenient travel desk and explore Arequipa with peace of mind, knowing that your belongings are secure thanks to Pirwa Park Hostel’s free luggage storage, safe-box and 24hr reception. 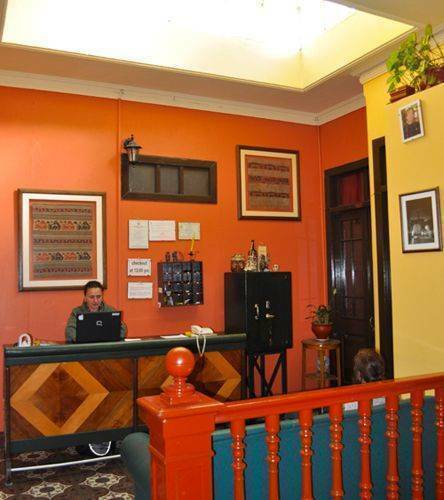 Make yourself at home in our welcoming Arequipa locale, with its relaxing familial atmosphere. Enjoy the free internet and wifi provided for your convenience, fix yourself a snack in the self-serve kitchen, and relax with other travelers in the TV and movie lounge, equipped with tabletop football and other lounge games. Don’t sacrifice comfort, security, or entertainment for cheap prices- at Pirwa Hostel Arequipa you can have it all! 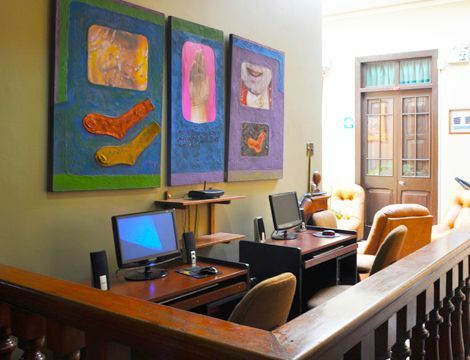 Located in the heart of the historic center of the city, only three blocks from the main square, you will find Park Hostel (before Posada del Parque). A large colonial house, specially remodeled to offer you a friendly service for a most relax and enjoyable stay. The hostel has a great and colorfull design with a nice terrace where you will have one of the best panoramic views of the city and three volcanoes that surround it: Misti (5, 825m), Chachani (6, 075m) and Pichu Pichu (5, 600m). The city of Arequipa was declared a “World Heritage Site” by UNESCO in 2000. It is the capital of the Department of Arequipa, also known as “la Ciudad Blanca” or “White City”, due to its numerous and magnificent constructions, such as temples, convents, mansions, and palaces, built with white volcanic rock (sillar). The city lies in a valley alongside the river Chili and sits at the foothills of the volcano “el Misti” at 5, 822 m. a. s. l. (19, 101 ft), it is also surrounded by the volcanos, Chachani at 6, 075 m. a. s. l. (19, 931 ft) and Pichupichu at 5, 425 m. a. s. l. (17, 798 ft). Due to its location and altitude, Arequipa enjoys a temperate climate with almost 300 days of sun per year. Santo Domingo church to 60m. Main square of Arequipa to 3 blocks. Banco de Crédito and Banco Continental to 100m. 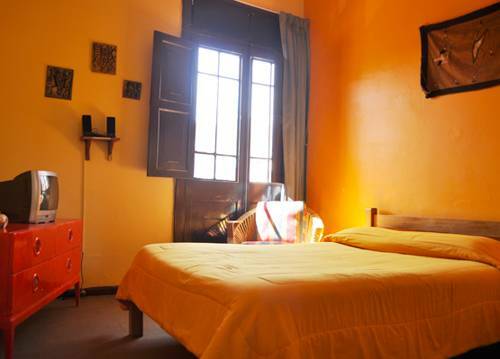 If you book in each of the cities in Pirwa Hostels Peru get a free night. If any services under the contract are varied prior to arrival then the payment made will reflect the latest details contained in the written details of Pirwa. Remainder of balance (total cost minus prepaid deposit) must be paid at the time of arrival (check-in). Any additional charges due to Pirwa from the Client for Services (including but not limited to tour services, transport services, food and drink) shall be paid by the Client on presentation of an invoice. All outstanding charges must be settled prior the client leaving the hostel. The Client agrees to forfeit the deposit and applicable service charges to Pirwa in the event of cancellation of the Services or if the Client and/or their guests fail to take up the Services at the time and on the day specified in the reservation agreement. Pirwa will confirm cancellations in writing. Pirwa Park Hostel Arequipa is located downtown in the center, to 3 blocks from the main square in the park Duhamel, really close to the historic and colonial places and next to everything: banks, money exchange agencies, travel agencies, markets, drugstores, restaurants and department stores. We are open 24 hours and taxis are available next to the hostel. Nearest airport: Arequipa airport to 30 min.